Innoraft organized day-long free Drupal trainings at Kolkata and Jaipur to celebrate Drupal Global Training Days on April 9, 2016. Drupal Global Training Days is a worldwide initiative of Drupal Association, to increase the adoption of Drupal. 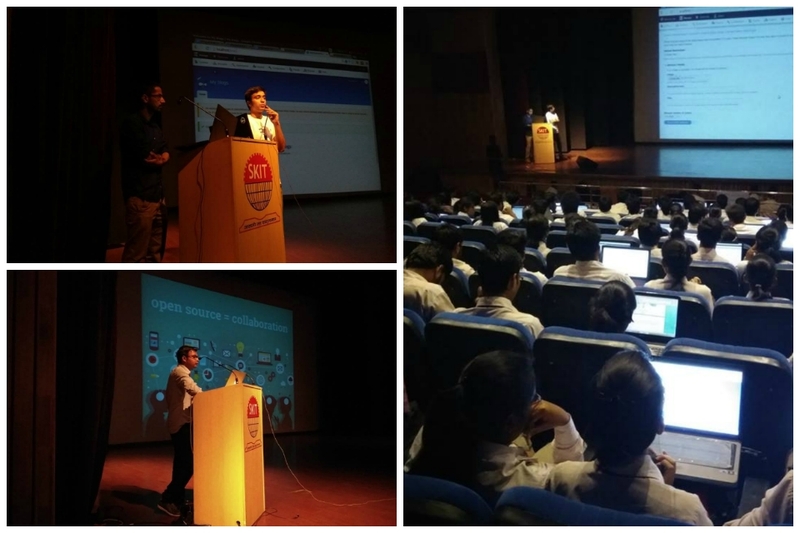 In support of this event the Kolkata and Jaipur team of Innoraft organized day-long Drupal training sessions. The #DrupalGTD was organized in Kolkata for the first time ever. The main initiator of the event was Innoraft. The event was supported by Anant Education Initiative, an NGO that work towards empowering education by offering scholarships to meritorious students from the economically weaker sections of the society. Infinity Group, a pioneer in building world class infrastructure, came in as a venue partner. “There were over 60 participants out of which 40+ were Anant Scholars. We were too elated to meet each one of them and had a great day talking about Drupal”, said Mukesh Agarwal, CEO & Co-founder, Innoraft. The session in Kolkata started with a Keynote by Aninda Das, a representative from Anant Education Initiative followed by an Introduction to Drupal & its Relevance Today by Mukesh. The first training on Introduction to Drupal was delivered by Sanket Jain. He discussed Basic concepts of Drupal 8 touching upon major components used and how they are helpful. He concluded the session by giving interesting inputs on setting up a Drupal 8 site. The stage was then taken over by Sonam Singh. She gave a brilliant talk on advantages of using Drupal mainly focusing on things like Blogs, Comments, Dynamic Listing of Content and Configuring a Drupal 8 site to do more. The last session at Kolkata was a hands-on training to build a simple site using Drupal 8. Somedutta Ghosh explained in the most simplified manner some interesting tips and tricks that would make this job easier. Student’s took deep interest in her session. Anant Scholars were given certificates on behalf of Innoraft. The DrupalGTD at Jaipur organised by Innoraft in collaboration with Axelerant and Blisstering Solutions, supported by Drupal Jaipur Community. SKIT came in as the venue partner. The training day was a huge success with over 150 participants attending. Prateek Jain of Blistering Solutions began the day with a very interesting talk on general web concepts. Followed by him Abhishek Pareek and Sagar Choudhary of Innoraft took the stage. They shared detailed information on Installation of drupal, general concept, hands on drupal, and all terminologies related to Drupal. They gave live examples of Installation of Drupal, Changing the name of your site and spoke about various drupal terminologies like Node, Menu links, Vocabularies etc. Gaurav Goyal from Innoraft shared great insights on the strong and ever growing Drupal community and Opportunities in Drupal. He urged everyone to be a part of the community to learn, share and grow. Many queries of the students were answered diligiantly. Special thanks to Piyush Poddar & Anil Sharma from Axelerant, Basant Sharma from Innoraft, and Vineet Jain from SKIT to helping to make this event a success. “We urge more and more students to join our Drupal Community and embrace this cutting edge technology that’s growing at a rapid pace”, said Mukesh. Maintaining high traffic websites have their own merits and demerits, the most annoying thing about them is SPAM. How to install latest Drush 7 version? So you can use drush with the brand new Drupal 8. It is interesting how when you are trying to do something new in drupal you land up learning (and doing) other newer things! NOTE: This post explains setting up memcache on Drupal 6. We will very soon follow up for Drupal 7. Why do I need memcache for my drupal site?